10/15/2017 NOTE: Currently there is a production hiatus of FaLLEN while I am pregnant. Because of this, I have changed many of the tiers to reflect the current situation. I hope to be comicking again shortly, but for now I'm focusing on shipping Kickstarter orders and rebooting the website. There are still some updates and artwork postings, though, even if the comic is currently on hiatus. My name is Ogawa Burukku, artist and author of the webcomic FaLLEN. I studied comicking in both America and Japan and currently live in a town called Matsuyama on the island of Shikoku in Japan. I've worked with publishers and studios as an assistant, storyboard artist, illustrator, and translator, but my real passion is making my own comics. But enough about me, I'm pretty boring. The purpose of this Patreon is to help fund the creation of new pages for FaLLEN, which is a labor of love that unfortunately costs me some serious yen just to keep going. As evident by the thumbnails above, I am old school and use traditional mediums to do my comic pages, and art supplies (particularly screen tone) is pretty costly. After my Kickstarter in November, 2014 and with the closing of my sponsor Inkblazers one month later, I was encouraged by many readers to make a Patreon campaign to keep the comic alive. So here it is! I'm keeping the cost of tiers pretty low and emphasizing bigger rewards with milestones, but for very little pledged people can get behind-the-scenes information, WIPs, and have sneak peeks at upcoming pages. I appreciate you taking the time to read this far, and if you haven't seen FaLLEN, it's free to read online at the official homepage. Merely a tip jar, this is for people who enjoy the comic FaLLEN or want to support the author. Tippers will gain access to news blogs and polls, etc. Early Access To Pages - People in this tier will get to read completed FaLLEN pages before they are made public. Pages will be left uncensored (they are censored on the website) as they will be in the printed books. Early Access To Illustrations - Will also post finished illustrations, FaLLEN and otherwise, to backers of this tier and higher before artwork goes up on public galleries. Behind The Scenes - Receive access to a production blog that will show scans of rough pages, pages during inking or toning stages, scans of thumbnails, etc. I will also post lineart from digital illustrations. ...Includes rewards from previous tiers. New Years Postcard - You will go on a list of people who will receive a New Years postcard featuring FaLLEN characters with a Chinese zodiac theme. This postcard is only available to Patreon pledgers, and you have to be in this tier for at least 3 months before and up to the point when I start drawing these suckers. Livestream Invitations - I sometimes do livestreams of new digital artwork, and people in this tier and higher will be invited to join in. ...plus everything from previous tiers. Process Videos - I will start making quick videos of me actually making the pages. These will be short, sometimes time-lapse videos, but will briefly show how I make my traditional comic pages. Will do the same for color illustrations for FaLLEN. 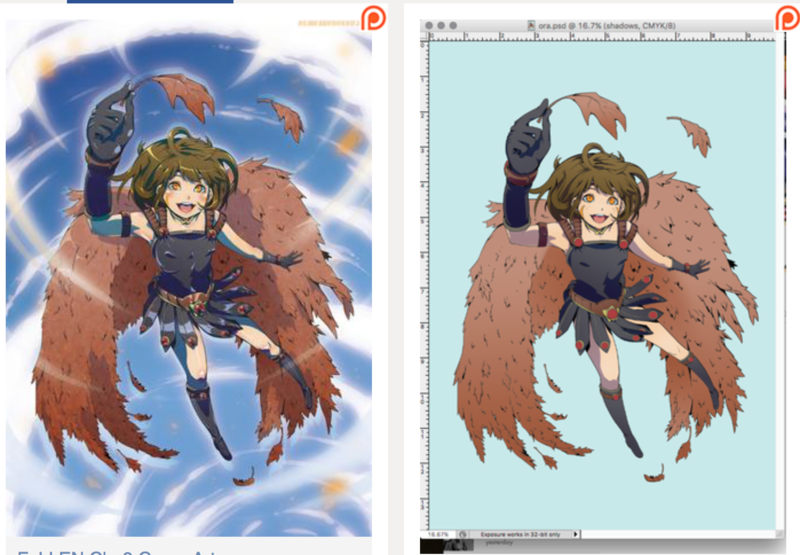 PSD File Downloads - Whenever I do a digital illustration I will post the Photoshop (.PSD) file of the finished piece. People can see the different layers I use, the lineart, etc, but are NOT free to share this elsewhere. Sketch Gallery & Requests - At the beginning of each month I will take requests from people in this tier and higher for sketches I'll draw during the month. These are just sketches and are not limited to FaLLEN characters. NSFW Gallery - I will sometimes post NSFW full-color illustrations, which may be commissions, requests, etc, that are only accessible to people in this tier due to the 18+ content. Free Pledge - This is also the tier you should select if you want to pledge more than what is available (that is, more than $20). Simply write in the pledge amount you would like to give and you will have access to every single tier bonus.